The link between residential and commercial space has been a recurring theme in real estate developments across the UAE. Creating the right mix has been a key challenge for developers, especially when integrating retail with residential schemes. Retail has certainly emerged as a vital component of any development and in many cases has helped increase the marketability of a building or community. 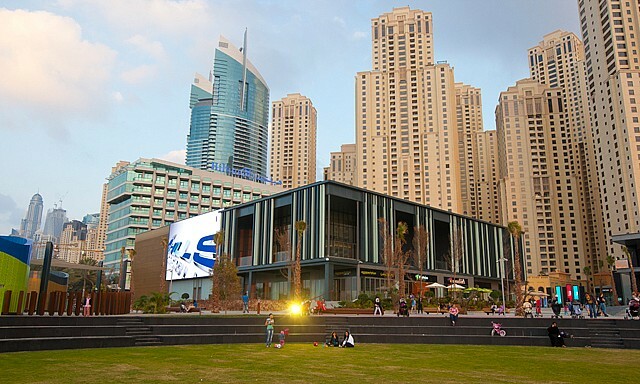 Dubai real estate developers are accordingly getting more precise in targeting specific buyer segments and tenants, aiming to cultivate a self-sustaining community with a vibrant retail centre at its core. By leasing the retail component of a development, the developer keeps reasonable control of the services offered to the community. “Some developers have sold their retails to individual owners; these developers are not over selective as to whom they sell to but they are very particular with concept approvals in order ensure the retails add value to the community and in line with municipality standards,” says Sandrine Loureiro, operations manager of Rocky Real Estate. Getting retail units occupied is just one part of the challenge; driving footfall into these shops is another important task that keeps developers busy. Some devise longer hours, while others go for a much broader mix of offerings. To maximise returns, creative solutions must be balanced with economic feasibility. “As such, design strategy should be shaped with multiple audiences in mind, with the value measured using a triple bottomline approach that considers economic, social and environmental factors,” says Al Qatami. Residents and homeowners often view the retail units as a value-added feature of the property and, hence, are more likely to pay higher rates. “Residents value the convenience, variety and ease of going downstairs for items they need, versus having to leave the building for these same items,” says Al Qatami. “Retail complements the overall development and acts as a community centre, providing people space and opportunity to socialise at the same time. Striking a balance between well-known brands and local favourites takes flexibility, insight and big thinking, says Al Qatami. “High-street retail and local markets have become increasingly popular because they offer a unique array of retailers and a richer, more authentic urban living experience,” he says. “Finding the right retail mix and offering a varied selection is vital in a competitive market. Arthur & Hardman, the development arm of Reign Holdings, targets to deliver 1,000 hotel apartment units in Dubai’s Jumeirah Village Circle (JVC) over the next few years to cater to the growing demand ahead of the Expo 2020. Samir Salya, chairman of Reign Holdings, says retail will be an integral part of such mixed-use developments. However, having the right retail concept to match the development is just as important. Arthur & Hardman’s projects are all serviced apartments, so the developer has emphasised on having coffee shops and restaurants that allow residents to host meetings and guests. Vijay Doshi, managing director of Vincitore Real Estate Development, says the location of a project and the existing retail mix within a community and its vicinity are important factors to consider when choosing the types of retail outlets required in a project. “The UAE’s retail sector is expected to exceed $71 billion [Dh260.74 billion] by 2021,” says Doshi, noting that factors such as a rise in the number of tourists and the expansion of sales events, promotions and shopping festivals will all support its growth. As competition for prime retail space becomes more intense, developers have now become more selective with tenants, often conducting due diligence to ascertain each candidate’s track record and business plan. “This trend is essential because the retail units within a project do not just facilitate the same building residents, but also help to enhance the development of the particular area,” says Adnan Al Hamly, CEO of Ghreiwati Property Development, noting how a well-known furniture outlet within Ghreiwati’s Murano Residences has helped generate business and footfall not just for the mixed-use property, but also for the Al Furjan area.